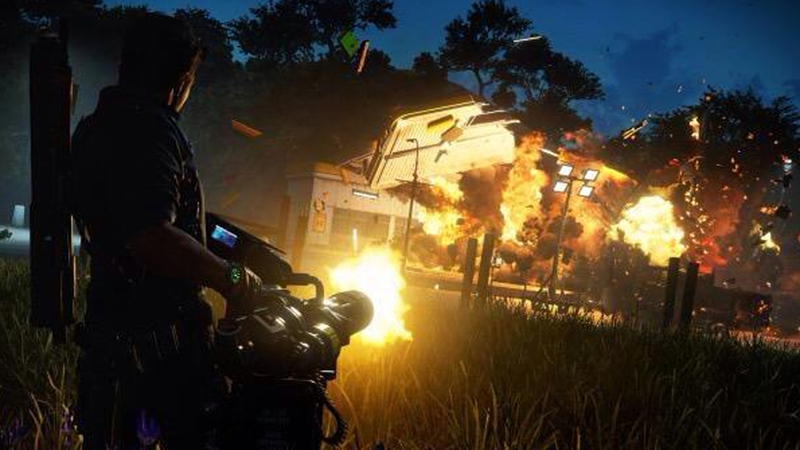 The first screenshot we got, is of Rico yet again causing absolute chaos in a gas station with his mini gun. This is not the first time we have seen Rico and his best friend (the mini gun) together. 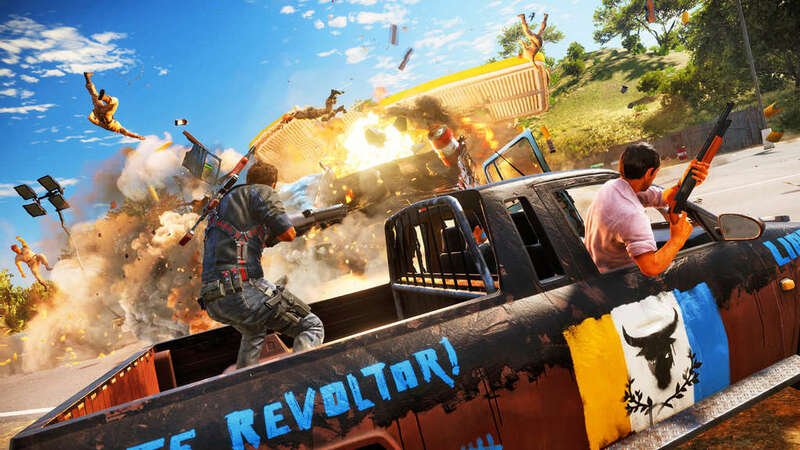 In this screenshot however, lots of little details stand out for example Rico’s watch and screen on his grappling hook. 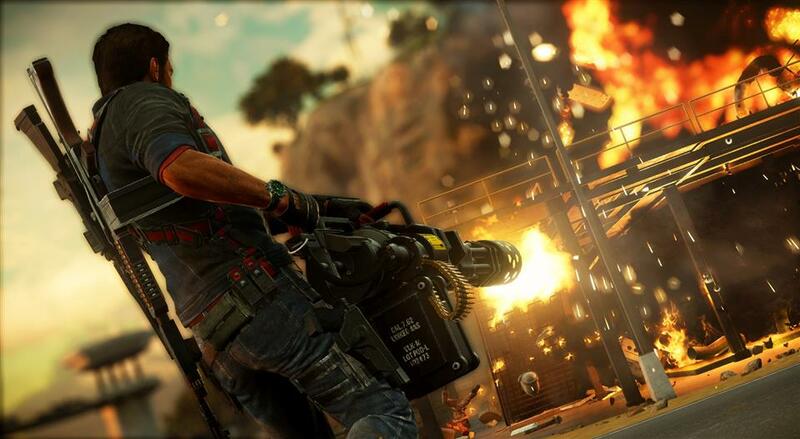 This overall though is one of the best screenshots we have received so far of Rico. 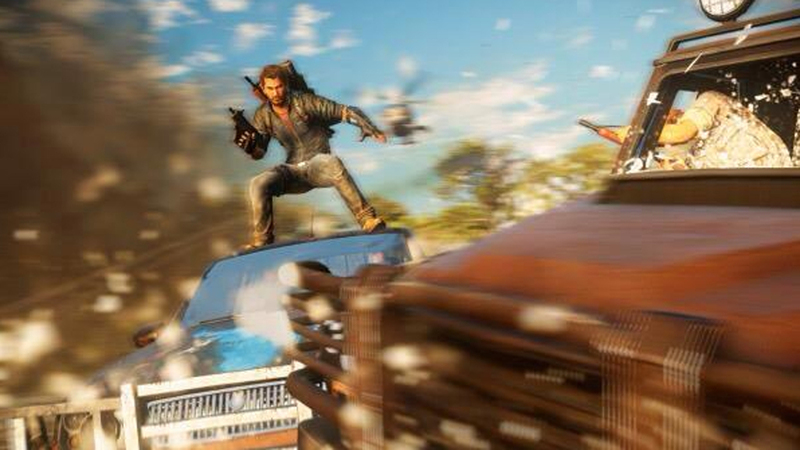 The second screenshot we have received, is of Rico standing on a pick up truck like vehicle which looks like the exact same one we saw previously, where the theory of co-op was made. The third screenshot, is one of my favourites. 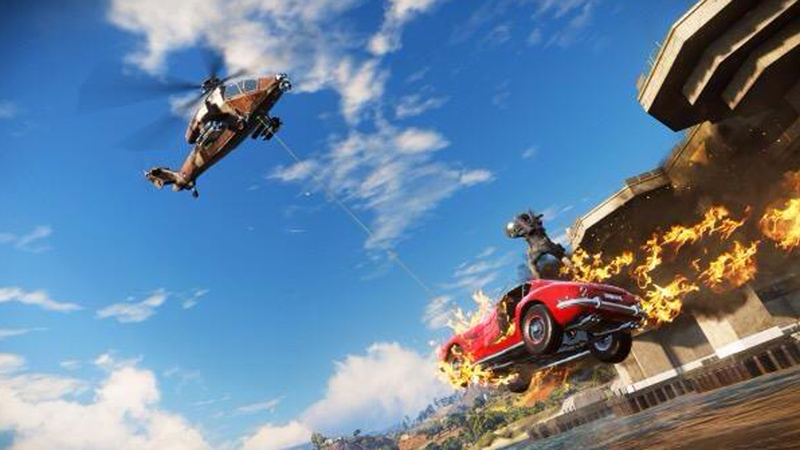 It shows Rico on this sporty car which reminds me of James Bond. You are probably thinking why? well, it just gives of that spy/agent theme to me, as it really is just like one of those cars you would expect to see in a dramatic spy film where it has guns attached to it, and an option where you can eject the seat. Nether the less though this vehicle seems great and it is not the first time we have seen it. We saw this recently in the Fire Starter trailer and a screenshot previously. One thing that really caught my eye was what Rico had in his hand… what could this big shiny ball possibly be? 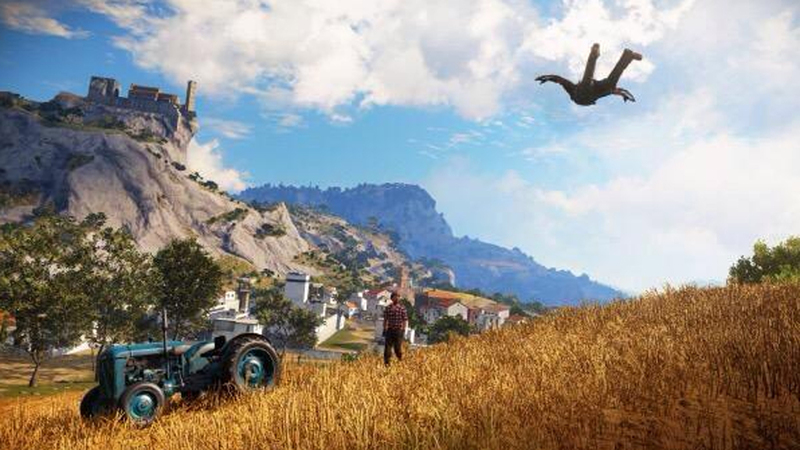 Lastly, we have a rather calm image of Rico just gliding over a tractor an what looks to be a farmer. However, we are not to sure if this is a farmer but from the way he is dressed we can infer he is one. Never the less this is a great image. The world looks fantastic and very dynamic. 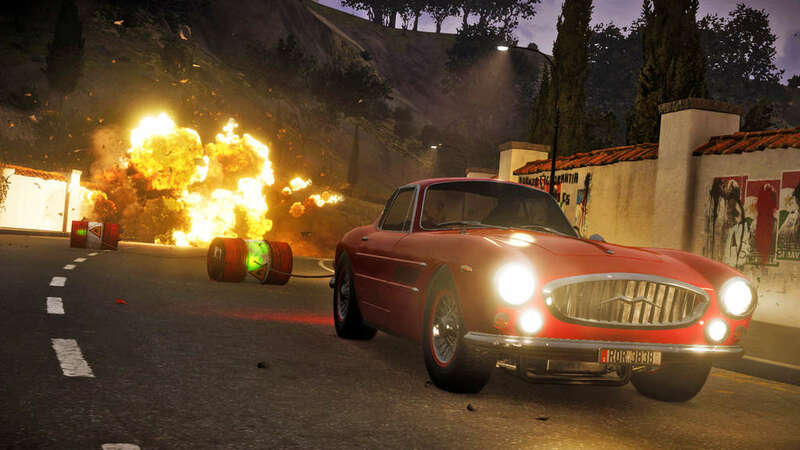 What do you think of the news screenshots? let us know below!